UNESCO seeks to encourage the identification, protection, preservation and conservation of cultural and natural heritage around the world considered to be of outstanding value to humanity. This is embodied in the World Heritage Convention. 2016 World Heritage Centre Advisory mission visited all Armenian World Heritage properties and developed a set of recommendations to the State Party to ensure the reinforcement of management mechanisms and capacities required to implement a coherent strategy for their conservation and use. This project aims to strengthen the implementation of the World Heritage Convention by assisting the Armenian authorities to prepare a comprehensive conservation strategy for all three World Heritage properties. Currently, three properties in Armenia are inscribed on the World Heritage List: Monastery of Geghard and the Upper Azat Valley (2000), Monasteries of Haghpat and Sanahin (1996), Cathedral and Churches of Echmiatsin and the Archaeological Site of Zvartnots (2000). The monastery of Geghard contains a number of churches and tombs, most of them cut into the rock, which illustrate the very peak of Armenian medieval architecture. The complex of medieval buildings is set into a landscape of great natural beauty, surrounded by towering cliffs at the entrance to the Azat Valley. Monasteries of Haghpat and Sanahin are two monastic complexes that represent the highest flowering of Armenian religious architecture, whose unique style developed from a blending of elements of Byzantine ecclesiastical architecture and the traditional vernacular architecture of the Caucasian region. The churches at Echmiatsin and the archaeological site of Zvartnots vividly depict both the spirituality and the innovatory artistic achievement of the Armenian Church from its foundation. The development and implementation of the conservation strategy for the World Heritage sites are the overarching objectives. The project per se however will not consist in the World Heritage Centre producing and designing the conservation strategy for the World Heritage sites but in providing a high quality expertise, sharing international standards and experience, developing methodological guidance, detailed analysis and assessments, quality control, and onsite training to allow for the Ministry of Culture of Republic of Armenia to design and implement a conservation strategy for all World Heritage sites in Armenia. Rationale and guidelines for the conservation interventions to address the special problems should be an important component. Such technical assistance by UNESCO will not only help both entities to establish the conservation strategy as a preparatory process to ensure the reinforcement of management mechanisms and capacities required to protect the Armenian World Heritage sites but to build capacity and develop the necessary in-country expertise to ensure sound implementation. The rational is not to outsource the design, but on the contrary to ensure as much as possible in country production and the capacity to do so. Furthermore, the design, development and implementation of the conservation strategy should also be used for training purposes and benefit other sites. The overarching goal is the development of the conservation strategy for the World Heritage properties in Armenia. Guidance and technical assistance will be provided:. to guide and to ensure quality control of the preparation of a comprehensive conservation strategy. An estimated extra-budgetary funding of US$ 50,000 is foreseen for the implementation of this activity. These funds will cover human resources, high quality consultation expertise, methodological guidance, detailed analysis and assessments, quality control and onsite training. UNESCO will be working with a team of two lead experts. Technical assistance will be provided through field trips and on site missions, on site working sessions and meetings and on site data and document review but also through desk studies, data analysis. The project could be scheduled for a period of one year and a half. A comprehensive conservation strategy for restoration, rehabilitation and regeneration of the historical buildings of each World Heritage property in Armenia. A rationale for conservation interventions and guidelines for future interventions. 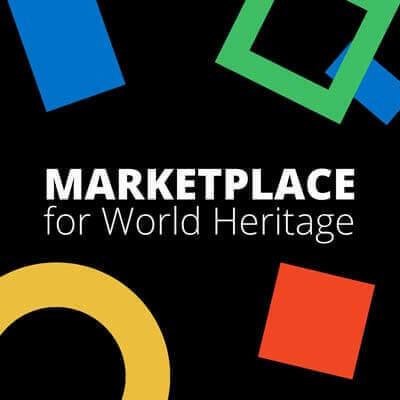 The Armenian Church, owner of all World Heritage properties in Armenia, plays an important role in the management of the World Heritage properties..
UNESCO will be advocating a site-based approach rather than a sectorial approach. It is the best positioned to refer to a body of international normative instruments (conventions, recommendation, declarations, charters) and international practices.